If you are looking for somewhere to hang out, may I suggest the We Love GB! (Gossamer Blue Fans) FB page, where there will be a series of challenges with gift certificates for winners and an overall grand prize of a 3 month Gossamer Blue subscription for the person who completes the highest number of challenges. 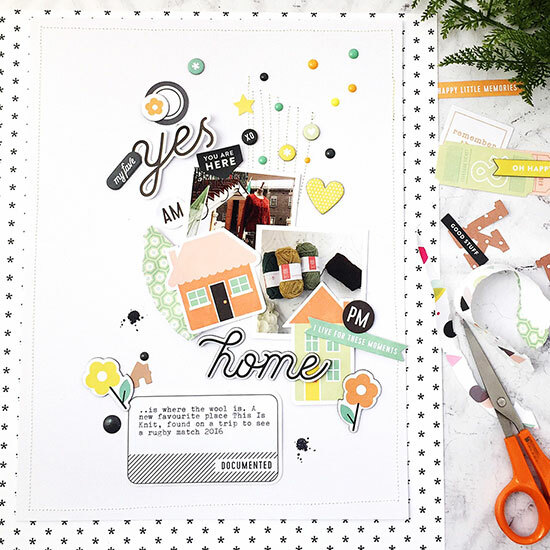 It has all the elements I had wanted and planned for on my page: stitching with tiny embellishments added (because I wanted to showcase all the lovely pieces in the kits), a progression in the story, from the shop to home; and colours from the kit which picked up the colours in the photos. I even gutted that border paper so I could flip it over and use the brown dotted reverse side for my title. First page finished! I posted it on IG. And about an hour later I decided that I didn't like it one bit. Now, this has never happened to me before. I've had plenty of pages that haven't turned out the way I planned, some I've been able to remake before I've stuck anything down, a few I've added to at a later date, even pages I've simply said "you'll do, you are just for me to look at, and you tell the story, so you'll just have to go in my album the way you are". But I've never had a page I wanted to disown and then rip apart completely. So I thought today of all days would be a good one to own up to it, to say - if you've had fun making it and you love the result? Perfect; if you've had a good time at your desk and you aren't so sure about the end product? No worries, it was a great way to spend an afternoon; and if you want to take it apart, do it. It's paper. We play with it. That's what it's there for. And I knew I'd done the right thing. A few extra touches - more black to hold it all down - and I was..
...home. 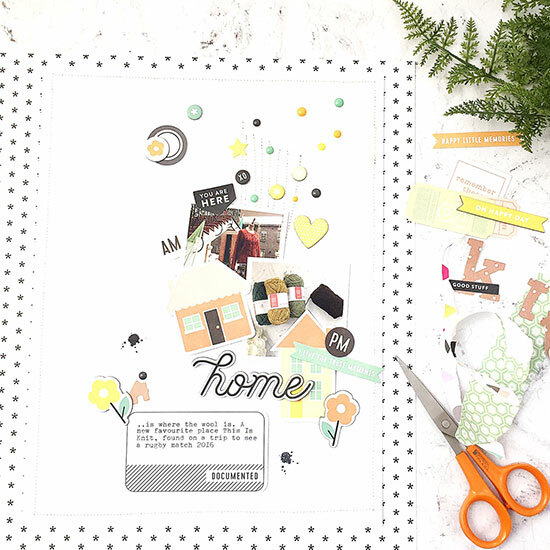 I wanted to make a layout to show off the beautiful things in the May Gossamer Blue scrapbook kit. I hope I got there in the end. And I hope I've inspired you to dig into your supplies today. 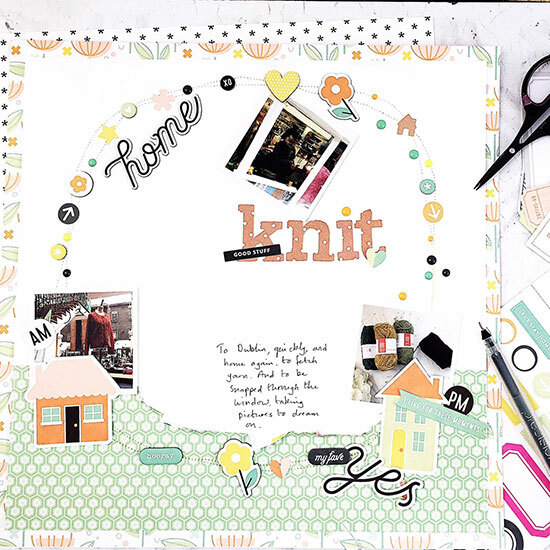 Happy Scrapbooking Day! I loved reading about your process, and the final outcome is just wonderful. I am always in awe of your ability to use and layer so many embellishments to such great effect. It's a skill I aspire to, but most often when I try, dismantle because it just doesn't work. 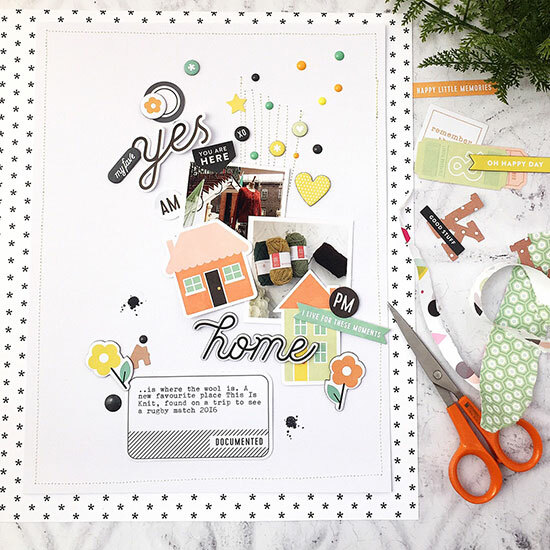 I'll be busy packing and finishing up projects so National Scrapbooking Day will pass me by despite the fact that I need it more than ever! I thought I had seen your first attempt on Instagram! It's hard when you've put work into something to completely tear it apart but sometimes you won't feel happy until you do. That second page, with all the elements cascading down, reminds me of items being dropped into a shopping bag - just delightful! I have other plans for today but will find some time tomorrow for a belated celebration - hope you enjoy your day! Oh my eyes, my eyes ..... kidding, all of these layouts work, especially the final version. I like the spray with enamel dots behind the photo, not fireworks but that kind of feeling is what I get. I do know what you mean about disowning a layout & taking it apart to re-create. I am like Karen on admiring your use of layer embellishments & making it work. When I try that skill, well even the kindest of scrappers would say "oh the horror of it ..."
Happy Yarn Shop Day & National Scrapbook Day. Such a great read, Sian, because I am totally convinced on seeing one of your pages (even though I know, when I stop to think about it, that it's probably not true), that you sit happily at your desk, pausing every so often for a tilt of the head, pick up exactly the right thing each time and gently and delicately put it in the perfect spot. With no mess to clear up afterwards. So I am little relieved to read your story - though I have to say I really liked your first version too! 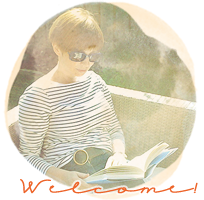 Beautiful and I too enjoyed reading about your creative process! Thanks for your honesty! Your pages always rock by the way!! I love the finished layout and it's good to hear that I'm not the only person who (occasionally) hates a layout they've created.